Mexican Spice Grilled Chicken Sandwiches with fresh made salsa! You can celebrate Cinco de Mayo all grilling season long, with these fast, fresh and flavourful Mexican Spice Grilled Chicken Sandwiches on Wonder Whole Wheat Buns topped with fresh made salsa. Happy Cinco de Mayo! Our collaboration with Wonder Bread and D’Italiano continues with this celebration of Mexican spices on a delicious grilled chicken sandwich. It’s finally a bright sunny day in our neck of the woods and this delicious sandwich is just the thing to start the grilling season off right. The bright fresh salsa adds summery flavour and great colour to this dish as well. It’s a great reminder that there are many more great grilling days ahead of us and many more great recipes from all across the country too in the 150 Buns of Summer celebration. Be sure to follow all of the recipes, a new one each day over at the 150 Buns of Summer Facebook Page or at , Chatelaine Magazine’s 150 Buns of Summer page. You can celebrate Cinco de Mayo all grilling season long, with these fast, fresh and flavourful Mexican Spice Grilled Chicken Sandwiches on Wonder™ Whole Wheat Buns topped with fresh made salsa. To prepare the salsa, mix all of the ingredients for the salsa together in a glass bowl and set aside. 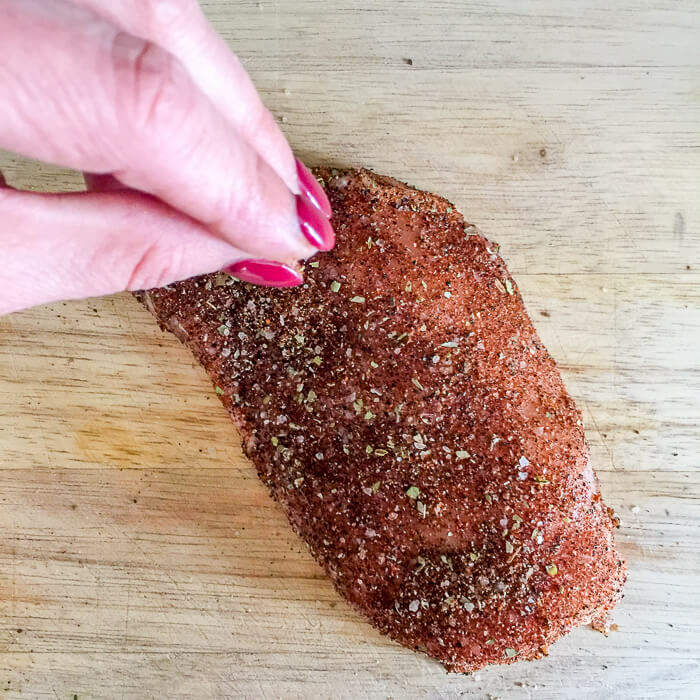 Mix all of the ingredients in the seasoning mix together and sprinkle generously all over the chicken breasts. Grill over medium-high heat for about 7-8 minutes per side depending on the thickness of the chicken breasts. Serve topped with the fresh salsa on toasted Wonder™ 100% Whole Wheat Hamburger Buns. AND homemade salsa?? Yes please!